Fairy tales have a long history and are important for early childhood learning; children get exposed to concepts of right and wrong, complex emotions, imagination, and critical thinking when they read fairy tales, both classic and fractured to include current trends or different points of view. Celebrate Tell a Fairy Tale Day with us by enjoying these fractured fairy tales and unique fables! The big bad wolf has a plan…but so does Little Red! On her way to Grandma’s house, Little Red meets a wolf. Which might scare some little girls. But not this little girl. She knows just what the wolf is up to, and she’s not going to let him get away with it. 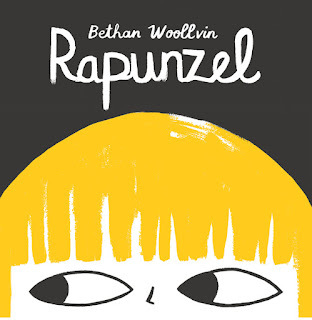 This updated fairy tale with a mischievous twist by talented author-illustrator Bethan Woollvin uses sly humor, striking visuals, and dark irreverence to turn a familiar tale on its head. Read an excerpt here, and check out the Teacher's Guide! Rapunzel lives all alone in a tall, dark tower. Under the threat of a witch’s fearsome curse, the poor girl seems doomed to a life in captivity. But is Rapunzel frightened? Oh no, not she! 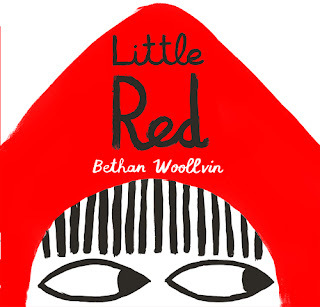 With irreverent humor and bold illustrations, the creator of Little Red puts an empowering and delightfully dark twist on a classic story of a helpless damsel. Read an excerpt here, and check out the Teacher's Guide! 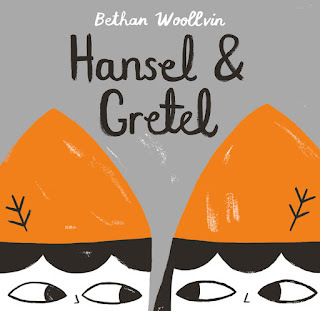 This fractured fairy tale from Bethan Woollvin flips the well-known "Hansel and Gretel" story completely on it's head. In this version, Willow, a good witch who happily lives alone in her gingerbread house in the woods, only uses good magic. 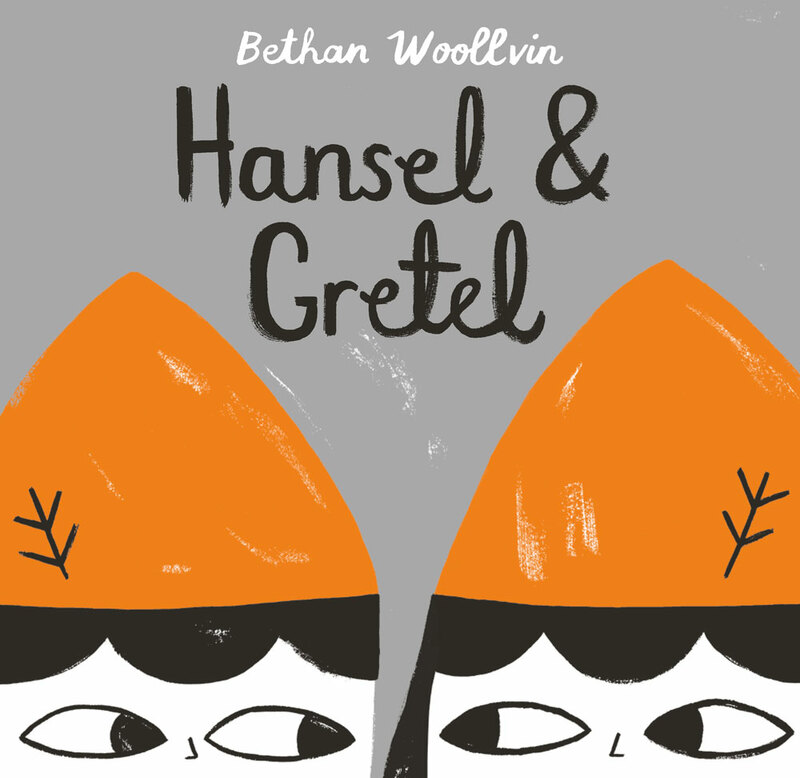 That is, until she meets Hansel and Gretel, two very naughty and rude children who try Willow’s patience. This deliciously wicked twist on the classic redefines the meaning of a villain. 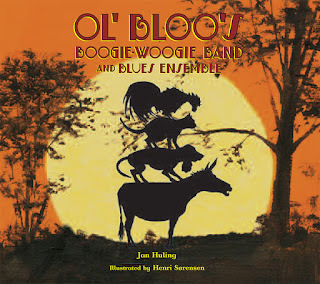 Read more about this upcoming picture book here. Fairy tales are just stories—or so Princess Martha believes. But when her sisters meet a talking frog, they’re convinced that giving him the royal treatment will turn him into Prince Charming. After all, that’s what happens in their story books. But the more Martha sees of Prince Ribbit, the more suspicious she becomes. 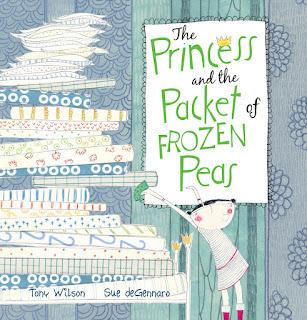 Armed with the facts, she sets out to expose Prince Ribbit and prove to her sisters that “just because it’s in a book doesn’t mean it’s true.” But before “The End,” Princess Martha might just learn that lesson for herself! Jonathan Emmett’s clever twist on the “The Frog Prince” pits a spunky, bespectacled princess against a sly amphibian to teach a charming lesson on the pitfalls of trusting everything you read. 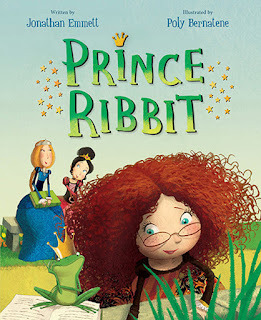 Learn more about encouraging critical thinking with Prince Ribbit here. And continue the fun with these free activity sheets! 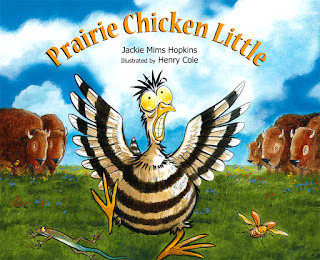 Sure a stampede’s a comin’, Mary McBlicken the prairie chicken hurries to the ranch, gathering up her friends—a prairie dog, a jack rabbit, and a meadowlark—along the way. Before the fine feathered and furry folks get to their destination, they encounter a coyote who says he knows a shortcut. Should they trust him? Will they find Cowboy Stan and Red Dog Dan in time? And where is that rumbling coming from anyway? This hilarious, prairie-style rendition of a well-loved tale will have readers laughing out loud. This fun fractured fairy tale is also available en español! This modern remix of the beloved story "The Princess and the Pea" delivers a freshly humorous take on one prince's search for the just-right girl of his dreams. Prince Henrik wants to marry an outdoorsy kind of girl, and he knows just how to find her: instead of a single pea tucked into a pile of bedding, Henrik tests prospective brides with an entire packet of frozen peas shoved under a flimsy camping mattress. As princess after princess complains, he begins to believe he’ll never find the girl of his dreams. That is until one day she shows up unexpectedly in the form of his old friend, Pippa, who is all too happy to join Henrik in pitching a tent or playing a hard game of hockey, after which she finds the perfect use for that packet of frozen peas! In this quirky twist on the fable The Boy Who Cried Wolf, a boy’s outrageous excuses turn out to have an unexpected element of truth. Tim witnesses some strange happenings around his house, but no one believes his explanations. In fact, no matter what Tim says, his parents just punish him with chores. To save himself, he hatches a clever plan to expose the truth. Will it work, or will Tim have to spend the rest of his life raking the yard? 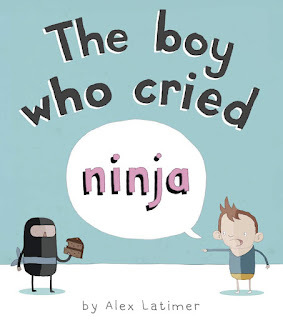 Bubbling with wit and humor from start to finish, this picture book is filled with wacky characters like ninjas, pirates, crocodiles, and time-traveling monkeys, and will have readers of all ages laughing out loud. Read an excerpt here. 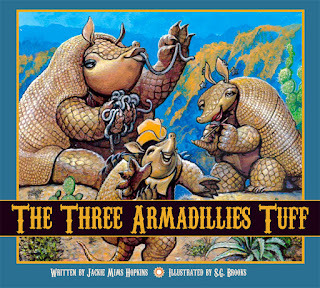 Three fun-loving armadillo sisters are eager to cross a busy highway to get to the new dance hall on the other side, but inside the culvert lurks a spindly legged coyote with a big appetite for “armadilly chili.” The littlest sister, Lilly, manages to fast-talk her way past the coyote, as does her older sister, Jilly. When the coyote sees the size of the eldest, Dilly, she really starts licking her chops. But Dilly Armadilly Tuff is a stubborn gal with her own ideas about what a lonely coyote really needs! Jackie Mims Hopkins’ hilarious retelling of the classic children’s story “Three Billy Goats Gruff” features a southwestern twang and a delightful surprise ending. 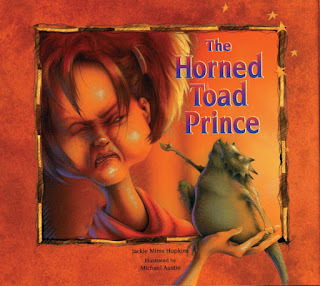 In this hilarious spin on a classic fairy tale, a spunky cowgirl finds herself in a mess of trouble and is forced to strike a deal with a horned toad. Reba Jo tries her darnedest to weasel out of her part of the bargain, but the clever horned toad won’t let her off the hook. In the end, she learns that a promise is a promise and words once spoken are not easily taken back. This sizzling southwestern retelling of “The Frog Prince” is features vibrant, distinctive illustrations that transport young readers to the untamed, dusty prairie. For more on this title, visit The Horned Toad Prince website here. Gracie Pearl lives with her pa deep in the heart of gold minin’ country. But the mine is empty and the two have fallen on hard times. Now the villainous banker Mr. Bigglebottom wants Gracie Pearl and her pa to pay back the money they owe him or he plans to take Gracie Pearl as his wife. As Gracie goes in search of gold, she encounters a series of characters young readers will find strangely familiar—from a blonde girl who ate Bigglebottom’s porridge and is now pursued by three bears to a very long-haired girl whom he has locked up in a tower. 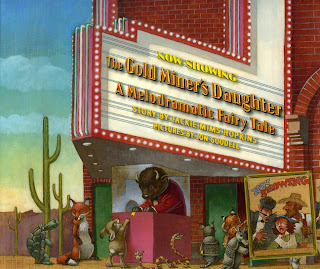 This hysterical collision of fairy tales, melodrama and the Gold Rush West cries out for audience participation. In this interactive read-aloud, familiar fairy tales ("Goldilocks and the Three Bears," "Jack and the Beanstalk," "The Three Billy Goats Gruff," and "Little Red Riding Hood") are presented in an exciting and fresh manner. Children’s excitement will mount as they recognize elements of well-known stories (Someone is eating Mr. Bear’s porridge. Someone is sitting in Mrs. Bear’s chair. Someone is sleeping in Baby Bear’s bed.). 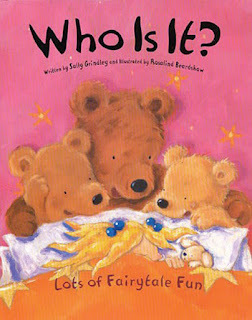 As readers are asked to answer the question "Who Is It?" youngsters will happily shout out who each character is and warn those characters about who is coming to get them! When the little animals hear that a big, bad wolf lives in their forest, they decide to get a closer look. Squirrel, Crow, Badger, and the other animals sneak up on Grandma Wolf’s house, where they find her fast asleep. Brave Piglet shouts, "What’s the time, Grandma Wolf?" and the fun begins. All the animals take a turn asking the question, creeping closer and closer. 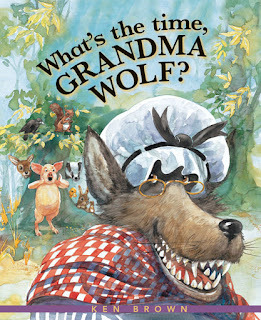 As the excitement mounts, children will delight in discovering the surprise Grandma Wolf has in store for the curious animals. based on a popular classic game, this fun story also includes the game rules on the back flap for readers. 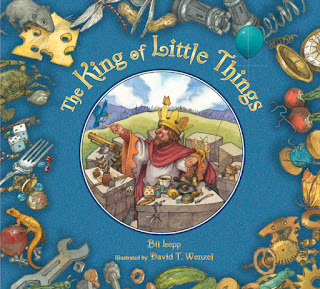 In a long ago world of vast kingdoms lives a king who happily reigns over all things small. He has all he needs and doesn’t want for more. Not so King Normous. He wants to be Ruler of All the World. He gathers his armies and soon he has erased every empire and raided every realm. Or has he? Enraged to learn that the King of Little Things still rules over his tiny kingdom. Normous sends his army to defeat this upstart, but he finds he cannot outfight or outwit a king who holds sway over the small things of the world. After all, it is the small things that keep the big things going. Martina the beautiful cockroach doesn’t know coffee beans about love and marriage. That’s where her Cuban family comes in. While some of the Cucarachas offer her gifts to make her more attractive, only Abuela, her grandmother, gives her something really useful: un consejo increíble, some shocking advice. 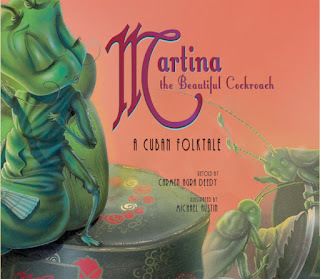 At first, Martina is skeptical of her Abuela’s unorthodox suggestion, but when suitor after suitor fails the Coffee Test, she wonders if a little green cockroach can ever find true love. Soon, only the gardener Pérez, a tiny brown mouse, is left. But what will happen when Martina offers him café cubano? Read an excerpt here, and read this cuban folktale en español! Find these titles and more at your local library, indie bookstore, or Barnes & Noble.